Find out what makes our Middle School a great choice for your family! Learn about our innovative and high-level academic and co-curricular programs as well as the ways in which we take advantage of our DC location. Current students will share their firsthand experiences and faculty will present their expertise in engaging students and creating community in the middle school years. Please invite your friends with elementary-school-aged children who are looking at middle schools. All students are welcome to apply, even if they have not attended a Jewish day school previously. 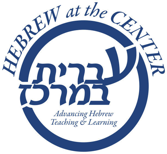 Beginning (Ulpan) Hebrew is offered.